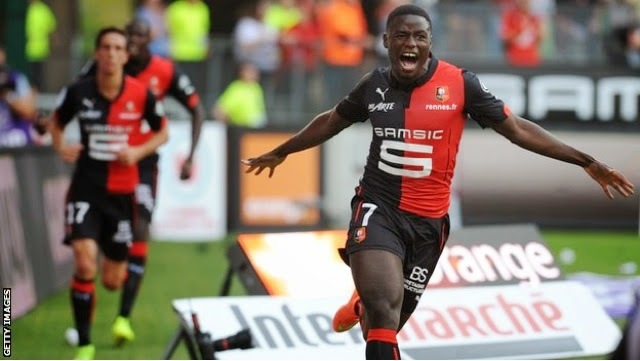 In this European football report you will read best bits from around Europe from Spain, France, Italy and Germany on Friday and Saturday 12/13 September 2014. Featuring a Madrid derby that topped the bill, it was a great opener to the weekend. Goalscorers: Tiago, Ronaldo (p), Turan. On ten minutes Tiago scored to open the scoring for Atletico, shortly after the defence was broken open, Siquera tackles Ronaldo and Madrid had a penalty that Ronaldo converted, but after half time to seal the match for Atletico, Turan scores to send Atletico to win and move further up the table. 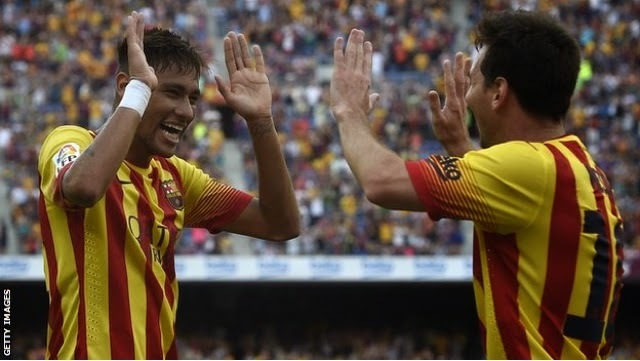 Neymar was the man inform for Barca with two well placed goals and and the Brazillian sealed the game for Barcelona and so far the Catalans are doing well without Luis Suarez but when the Uruguayan comes back destruction will be served. Empolis Goalkeeper (Sepe) scored an own goal to seal a win for the Italian side Roma as they are contenders for top three now but will that stay the with their tough fixtures ahead? 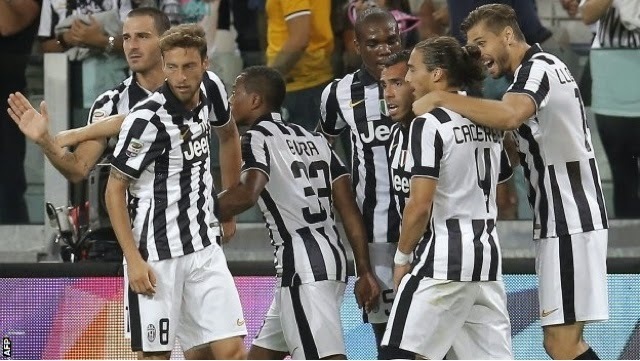 The Italian champions made it two wins from two in Serie A ahead of Tuesday's Champions League visit of Malmo. Tevez scored in this game just before Marchisio doubles Juves' lead. Goalscorers: Adrian Ramos, Kagawa, Aubameyang, Oliver Sorg. Kagawa scored on his second spell at Dortmund just after Adrian Ramos' opener and to finish off the game Pierre Emerick Aubameyang sealed the game for Borrussia Dortmund. To finish the game Freiburgs Oliver Sorg scored for the consolation goal. Spanish midfielder Xabi Alonso apmade his debut for Bayern Munich after moving to Germany from Real Madrid in Sapin. Mario Gotze, who scored Germany's World Cup-winning goal, opened the scoring. Frenchman Ribery, who missed the World Cup with a back injury, doubled Bayern's lead with a low angled shot after coming on as a substitute. Lyons Fekir opened the scoring just before Monacos Ocampos drew level before half time and with seventeen minutes of the game left Tolisso scored for Lyon to win the game for Lyon. Goalscorers: Camara, Ntepa De Madiba. So that was the round up from the best bits of European football from Friday and Saturday (12 and 13/09/14). Sundays edition will be today after the games today or tomorrow morning for the European football every week in TSM as it is the new addition since TSM kick off. We will have all the complete coverage in our Relive Europe series. A quick round up for all the football action in Serie A, La Liga, Ligue 1 and Serie A on 12-13 September 2014.